Most artists aren’t very pleased when their work receives a chilly reception. 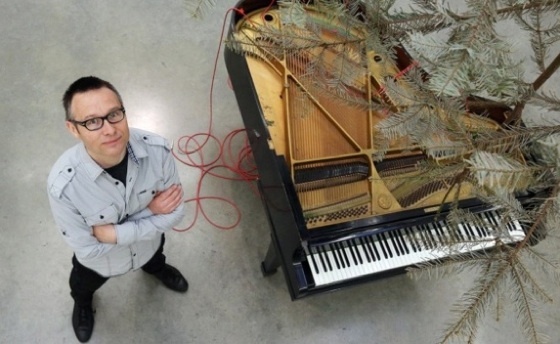 But when Visual Arts professor Paul Walde created a four-movement orchestral requiem for an audience of one—the Farnham glacier in the Kootenays—he was expecting to get the cold shoulder. 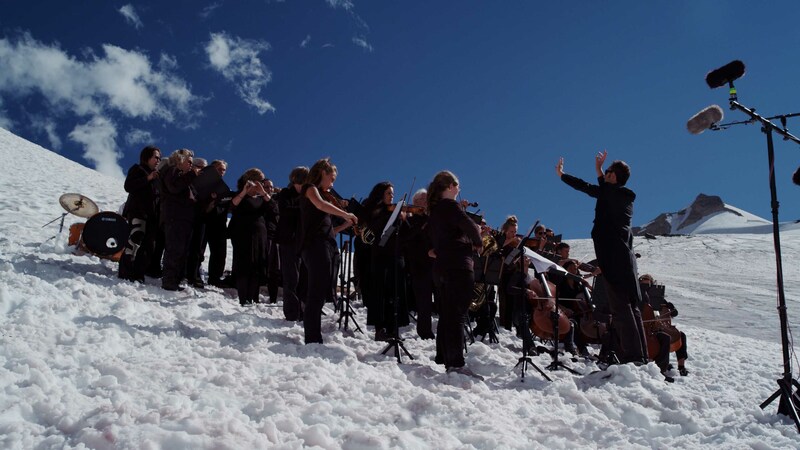 Accompanied by a 70-person choir and orchestra, Walde and a film crew trekked up the icefield in July 2013 to bring awareness to melting glaciers in general, and to the Jumbo and Farnham glaciers in particular. The glacier area is the site of a controversial resort development. While composing music for a glacier may seem a bit odd, it’s simply part of Walde’s wider practice as an artist exploring the boundaries between sound, landscape and art. 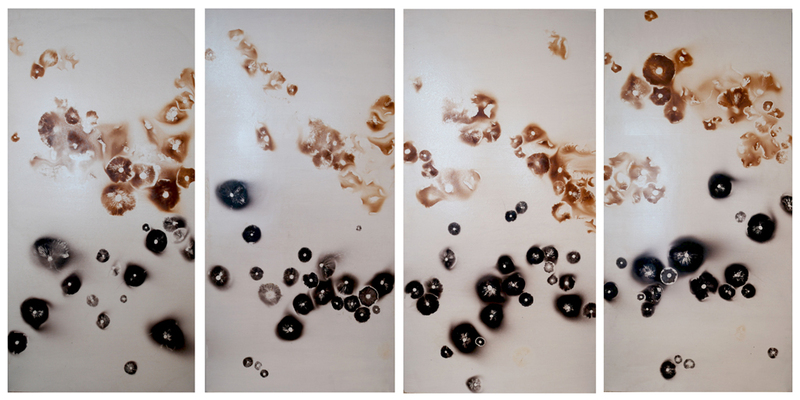 As an artist, Walde believes the combination of visual material with natural sounds allows for a different kind of listening experience. “If you can convince your brain that what you’re hearing is music, you’re going to listen to those sounds very differently,” he says. Growing up in northern Ontario, Walde was influenced by his experiences with nature and landscape art. 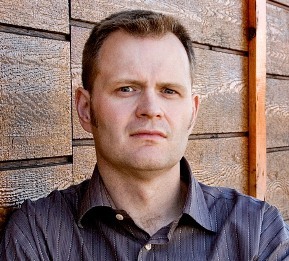 “On a larger scale, Canadian identity has always been wrapped up in landscape,” he says. “But I have a strong interest in science, and a lot of science is centered on the investigation of the natural world and how it works. As an acclaimed intermedia artist, Walde has fused his passion for nature and art by transforming mushroom spores, flitting moths, falling pine needles, beaver-gnawed trees and improvised soundscapes into numerous gallery pieces over the years—including Requiem for a Glacier. Originally commissioned by the Langham Cultural Centre in Kaslo, Requiem received international media attention. Conducted by UVic Symphony director Ajtony Csaba, the performance was filmed as the basis for a video installation. 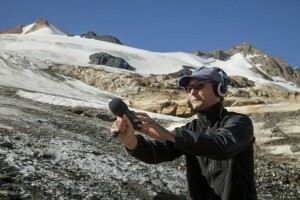 The soundtrack also incorporates field recordings taken on top of (and beneath) the glacier’s ice field. 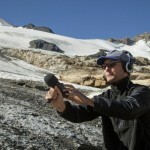 “The natural resonances of the glacial sounds almost elicit another melody,” he says. 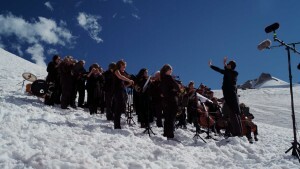 The final 9 x 32-foot, 40-minute projected video installation—which also includes material recounting the history of the glacier, the advent of electricity and climate change, and the government’s announcement of a year-round resort community in the Jumbo Glacier area (which Walde translated into Latin and used as the choral parts in his Requiem) has already appeared in two Kootenay-region galleries. As always, Walde leaves it to his audience to discover the impact of the art. Requiem for a Glacier runs September 11 to November 1 at the Evergreen Cultural Centre in Coquitlam, then at Laval University Art Gallery in Quebec City until the end of December. 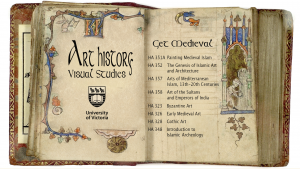 This piece originally ran as part of the KnowlEDGE UVic Research series. 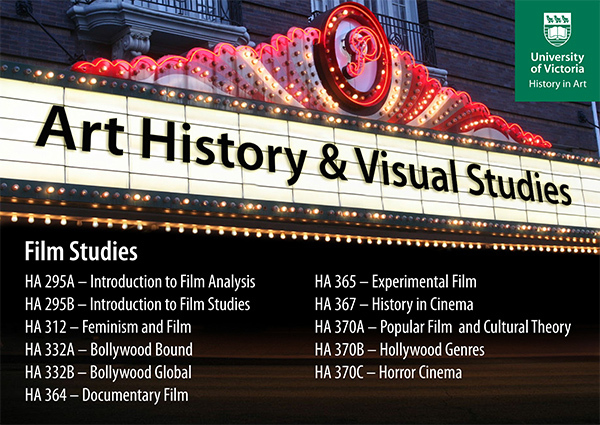 Change is afoot in the Department of History in Art . . . a name change, to be precise. 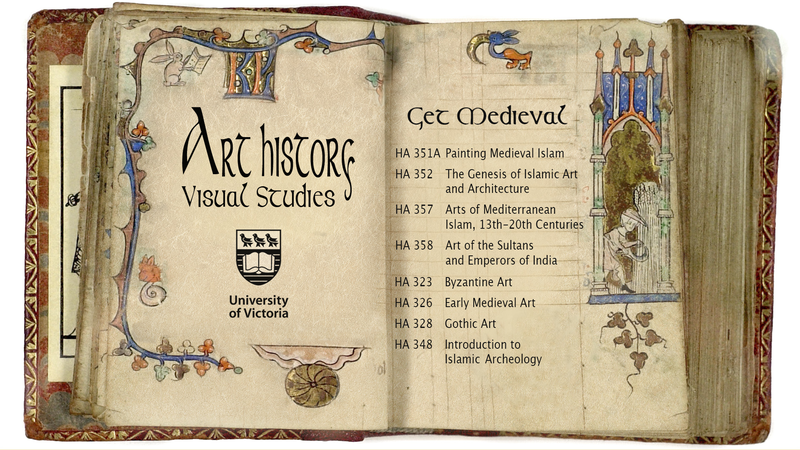 Starting next year, HIA will become the Department of Art History and Visual Studies. 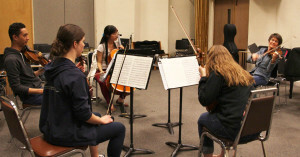 Over the past few years, the School of Music’s string faculty has been working with the university to establish a program for young musicians to study intensively—not as individual artists, however, but as a quartet. The School of Music is now proud to announce the launch of the Masters Degree Program in String Quartet Performance—a first in Canada. 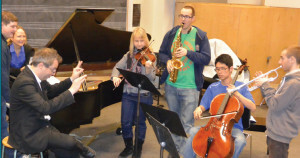 While there are other institutions where individual musicians can earn graduate degrees in string performance, UVic is now the first Canadian degree-granting institution to offer a Masters with a string quartet emphasis. 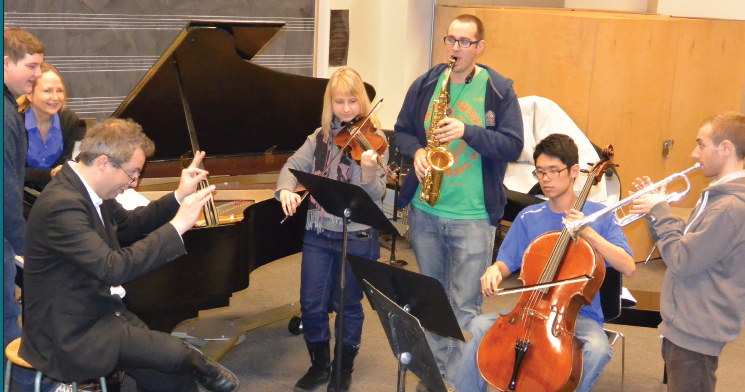 This new program will allow previously formed quartets the opportunity to study both as a group and individually with the Lafayette String Quartet, UVic’s acclaimed Artists-in-Residence. For more than two decades, the LSQ has taught some of Canada’s finest young string players, and also used their residency to enhance local performances and community involvement. “Not all universities have a resident string quartet, and there’s a real mentoring by having all of the string teachers in one ensemble,” says LSQ violinist Sharon Stanis. 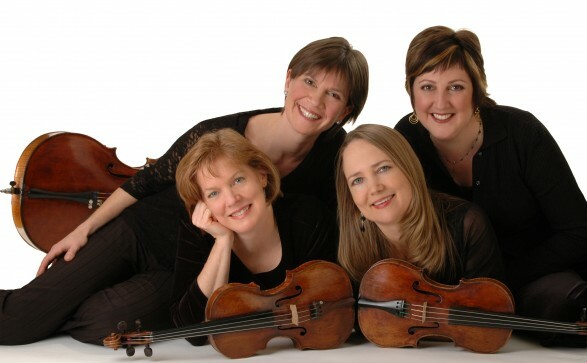 And as the renewed success of their annual QuartetFest West summer teaching program for string quartet players proved, it seems only natural to create a Masters in String Quartet here at UVic. 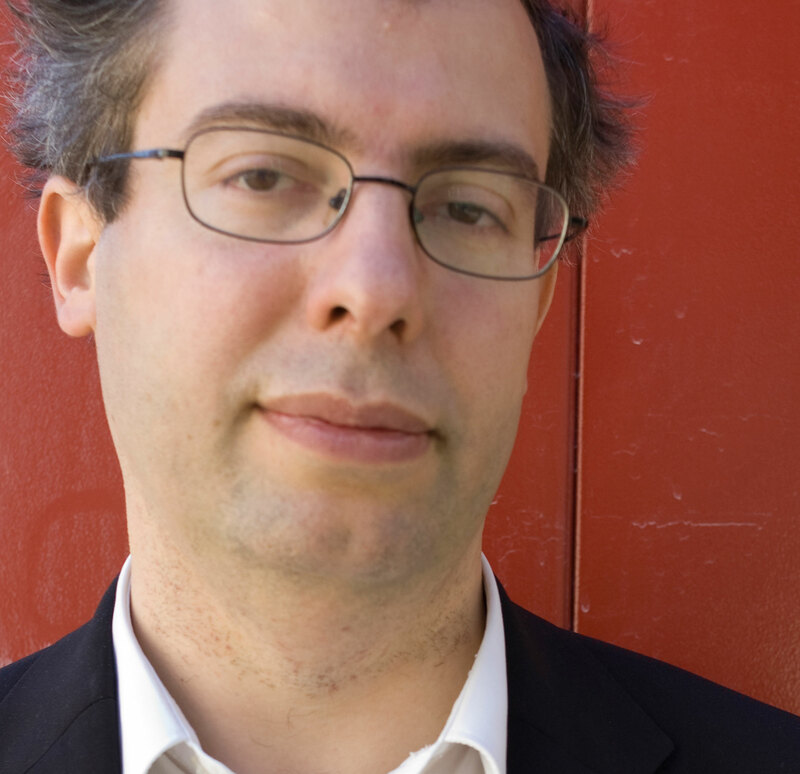 School of Music professor and internationally recognized composer Dániel Péter Biró will be spending the 2014/15 academic-year at Harvard University’s Radcliffe Institute for Advanced Study, thanks to the prestigious Fellowship he recently received—a first for the University of Victoria. But he is also currently engaged with his latest round of international projects as well. Biró’s new composition Al Ken Kara (That Is Why It Was Called) will be performed on July 26 at the Teatro Fondamenta Nuove in Venice, Italy. It was originally composed as part of the film project Mediterranean Voices, which premiered in February 2014 at the Eclat Festival in Stuttgart, Germany. Biró was one of 12 international composers invited to participate in the ambitious undertaking. Take a few minutes to watch and listen to the video of the premiere of Biró’s composition Al Ken Kara Kara as part of the Mediterranean Voices project. Mediterranean Voices explores themes like “public places” (religious buildings, demonstrations) and “borders” (both political and physical). Biró himself traveled to Tunisia in December 2013, where he visited the ancient El Ghriba synagogue in Djerba, an island where the oldest Jewish community outside of Jerusalem has existed for 2,500 years. Click here to listen imam Slah Ben Daoued’s amazing recitation. 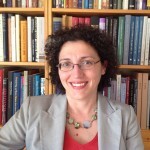 Biró also just returned from Istanbul in June, where he was participating in the Fourth International Workshop on Folk Music Analysis at Bogazici University. The conference dealt with computational ethnomusicology, the study of indigenous musical cultures using cutting-edge technology. New faces will soon be seen in the faculty boardroom, as four departmental mainstays step into fresh administrative roles for three-year terms. 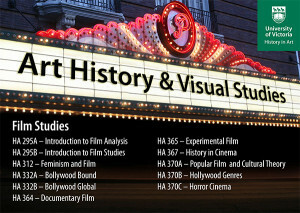 Three new Chairs have been announced: Allana Lindgren in Theatre; David Leach in Writing; and Paul Walde in Visual Arts. 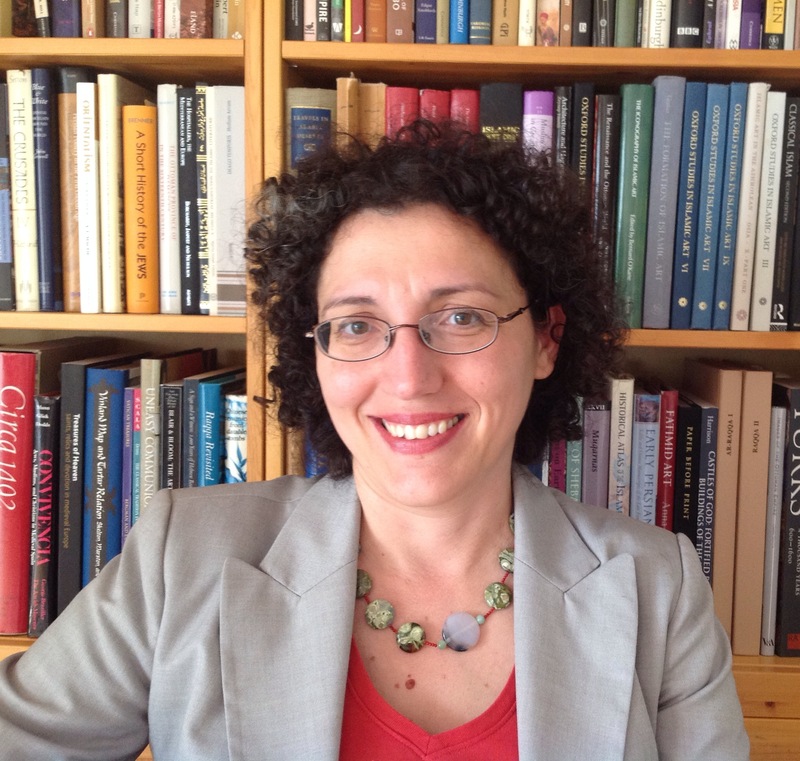 Not to be left out, Evanthia Baboula of History in Art has been named the new Associate Dean. 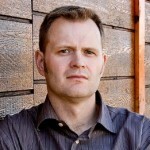 For his part, Leach is “thrilled and honoured” to lead the department he first joined as a student 25 years ago. 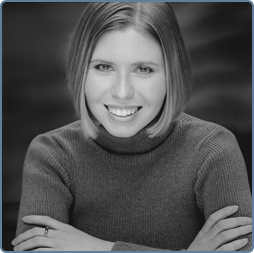 “Every day, we hear good news about the creative success of our alumni,” says Leach, currently the director of both the Professional Writing and Technology and Society programs. Dean Blackstone also appreciates the time and effort taken by those who assisted with the appointments. “Join me in thanking the search committees who undertook this important work and congratulating the new administrative team,” she says.